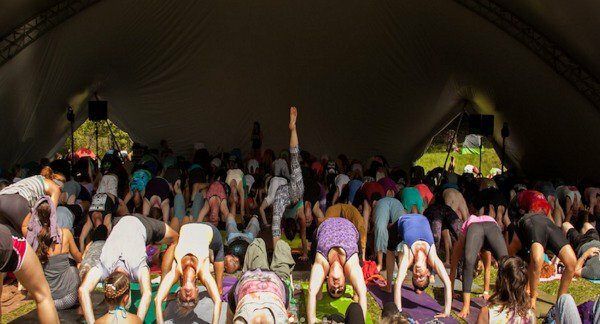 There's nothing quite like a good yoga festival to reignite your passion for your practice. The sense of belonging that you feel with others around you from all over the country (or even the world) really brings the uniting practice of yoga to the forefront. We all care about this practice, and it has changed all of us in ways we could never imagine. Being present at a yoga festival allows us to celebrate that fact with other like-minded people, while celebrating the wonderfulness of the practice itself. 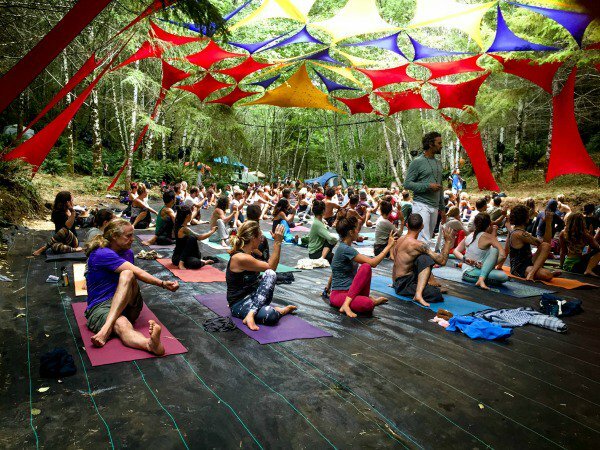 If you're in the United States and are looking to celebrate, rejuvenate, or just enjoy your practice, here are 15 yoga festivals in the USA you should check out while the weather is still wonderful. Sat Nam Fest's motto captures the atmosphere perfectly: "Yoga! Chant! Dance! Meditate! Elevate! Celebrate!" A festival for the Kundalini lovers (or even beginners), you can experience yoga, music, workshops and talks, a bazaar, and much more. Raise your Kundalini energy and learn to love yourself just as you are over this beautiful weekend. 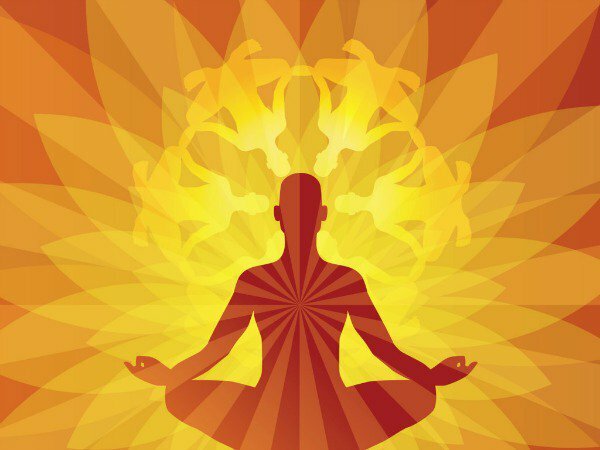 Have you ever heard of Bhakti Yoga, the devotional side of the physical practice? If you have, and even if you haven't, Bhakti Fest might be your jam. 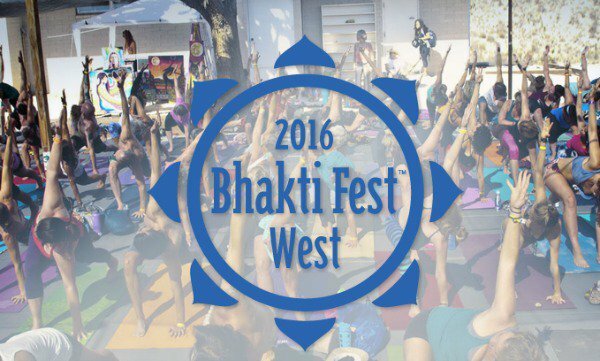 Bhakti Fest describes itself as "celebrat[!ing!] the devotional paths of yoga, Kirtan (sacred music), and meditation. Our festival is a drug and alcohol-free vehicle for evolution of human consciousness through a heart-centered revolution." Take time for your soul this year, and come twist, bend, and sing your way to a happier you. Wanna get your yogic jam on with Faith Hunter and MC Yogi in a charming, southern Virginia town? I think the real question is, who doesn't? A town of only 432 people, Floyd is situated in the Blue Ridge Mountains and is known for its bluegrass music and acceptance of counterculture. 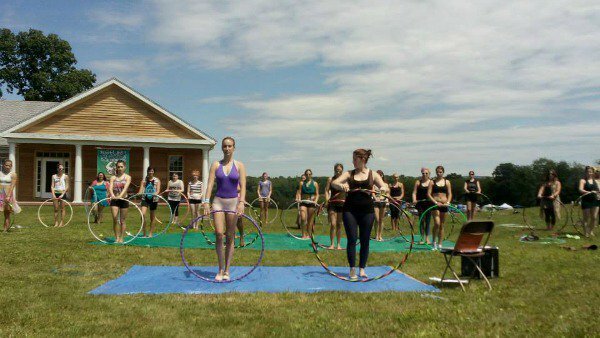 Sounds like the perfect place for a yoga fest to us! It's true. There's nowhere quite like Telluride. At the edge of a canyon and surrounded by mountains, it's not quite like anywhere else in the United States. Get in touch with yourself right in the heart of America's rugged beauty, and do it with some of the best yoga teachers around. 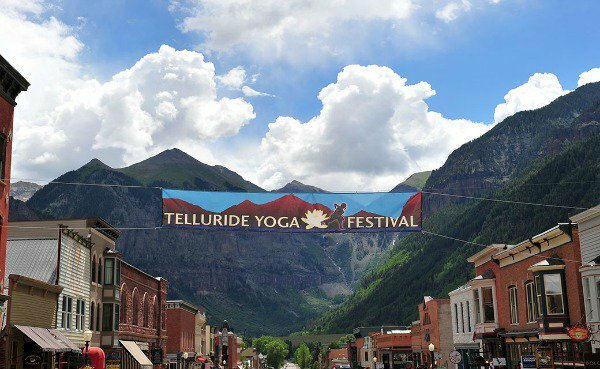 We think you'll find that Telluride has much more to offer than just excellent skiing. What list of yoga festivals would be complete without including Wanderlust? Pretty much *the* yoga festival to go to, Wanderlust has been expanding its offerings from different yoga festivals around the US and Canada so that it now includes "mindful triathlons" called Wanderlust 108. We think everyone should agree: you have to go to Wanderlust. Do you like heading a little further north in the summer to try and escape the intense heat? Does hanging out on the island of Nantucket for a weekend appeal to you? 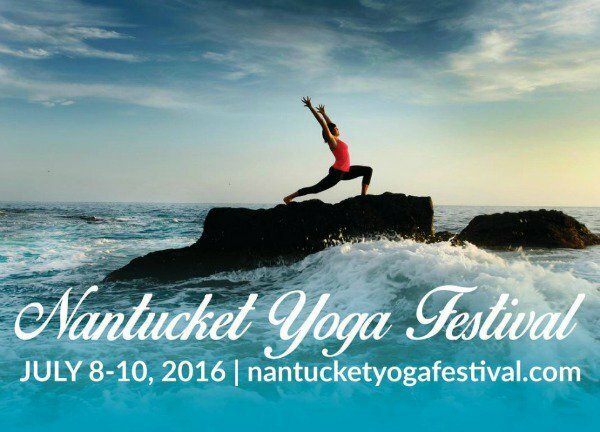 Then the Nantucket Yoga Festival fits the bill! The festival "is a community orientated celebration that brings together the very best world class yoga instructors, wellness experts and healthy living guides in a celebration of the spirit of the island," according to their website. Plus you can't beat the ocean views! If you can never get enough of the summer heat, take a trip to everyone's favorite tropical island (which is still in your local data plan)! Chill out on the Big Island of Hawaii while experiencing Hawaiian culture, practicing yoga, finding balance, and even enjoy wellness treatments. Plus, the food is included for festival pass holders. Sign us up! 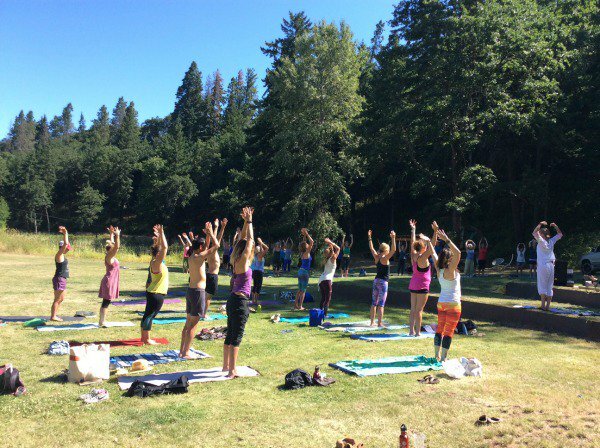 If you're more Pacific-Northwest than East Coast, check out the True Nature Yoga Festival in Oregon. Surround yourself with the beauty of Oregon's nature, take a dip in the Columbia and Hood Rivers in between yoga sessions, and generally disconnect from the crazy world around you. Take a trip to the Rockies and check out the Denver Yoga Festival while you're at it! 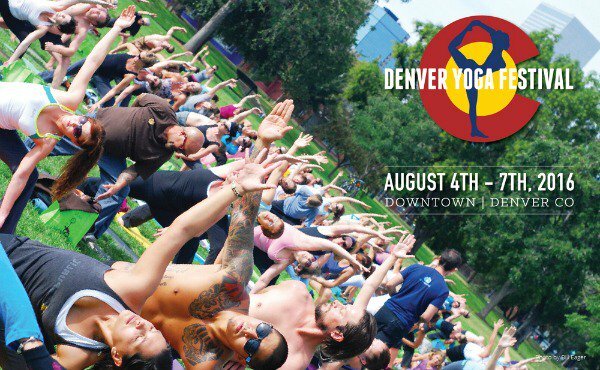 Colorado is known as a very health-conscious and outdoors-y state, and the Denver Yoga Festival is no exception. Situated right in the heart of Denver, this yoga festival is particularly special in that it helps springboard the careers of up-and-coming yoga teachers. Take a class with them before it's absolutely packed! Experience true New England charm in Hyannis, a small town on Cape Cod (which amicably fights with Key West for the eastern-most point in the US). 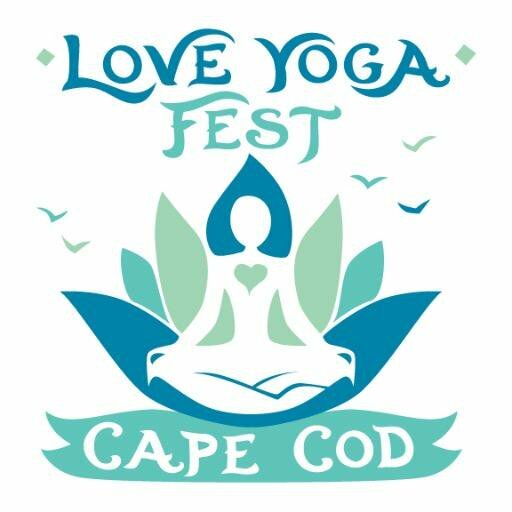 Small, but extremely welcoming, come be part of LoveYogaFest Cape Cod before it gets huge. What could be better than a day of morning beach yoga, followed by Aerial yoga, SUP yoga, and mantras? Not much, in our book. Get involved and evolve with a beautiful community of yoga lovers! 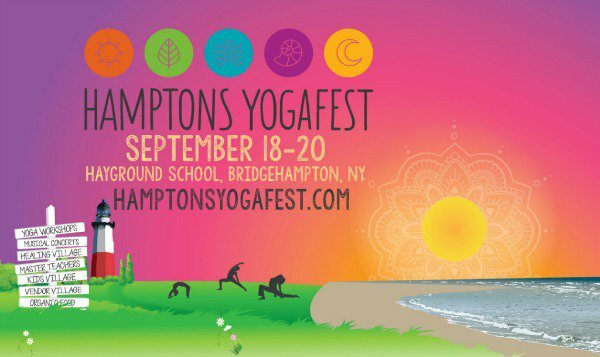 Another yoga festival that's just getting its start (so get in early), the Hamptons YogaFest "will unite yogis, artists, musicians, children, healers and visionaries from our local community and beyond." And for all the Mom and Dad yogis out there who still want to participate, there will be a Kids Village to look after your wee ones while you're centering yourself. The Beloved Festival in Tidewater, Oregon, is all about a more conscious way of living. A sacred music and yoga festival, the whole weekend is about mindfulness in all ways. There's only one stage at the festival, so there's none of that running back and forth to catch both of your favorite artists who are on at the same time. Come share the stage and share the space. Utah sometimes gets overlooked, but it's a state of extreme beauty that you have to see for yourself. 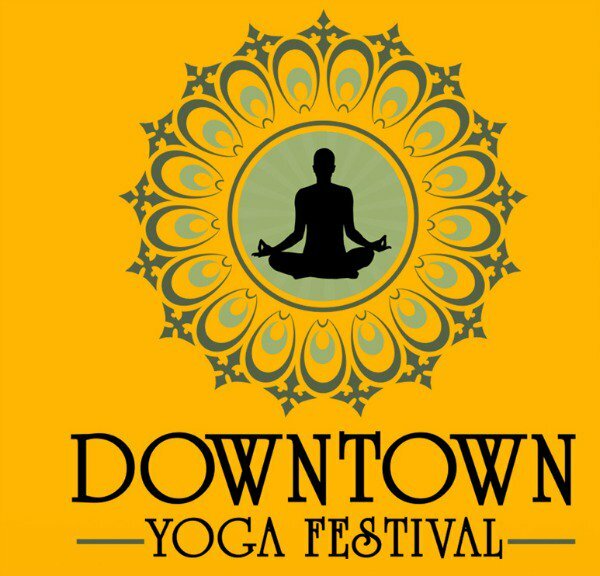 And what better time to do that then during the Downtown Yoga Festival this September? Focused on healthy eating and healing, the Downtown Yoga Festival is an all-around health experience, based in the beautiful principles of yoga. Yep, you read that right. It's the Northwest Yoga Feast (not Fest). 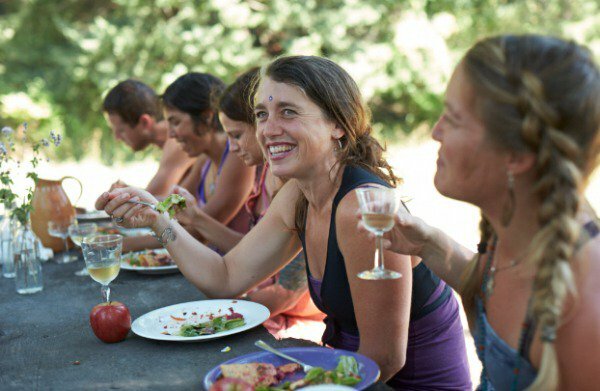 Join together a love of yoga and food, and connect with others over a weekend-long feast for the belly and the soul! Practice yoga to connect your minds and spirits, and eat together to nourish your bodies and share a good laugh. Wanna bring your kiddos along to a yoga festival? Then this may be the one. A family-friendly yoga and music festival, Return to Roots features over 30 workshops, ranging from hoop dancing to yoga to conscious living and much more! Share the weekend with your family, and come home happier and more connected! 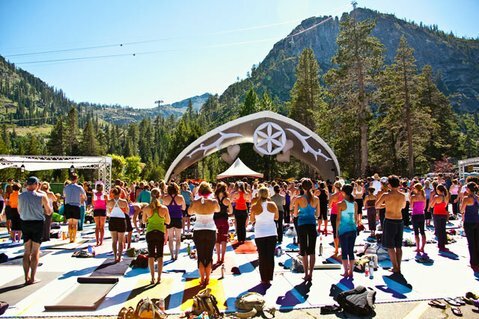 What are your favorite yoga festivals in the US? Do you have any to add to this list? Share with us in the comments below!